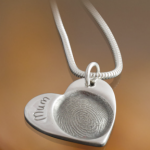 The Finger Prints are the natural signature that nature has given all of us. 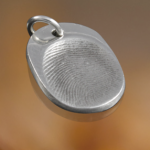 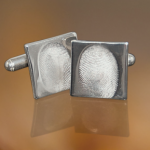 Silver is perfect for capturing the beautiful details of a finger print. 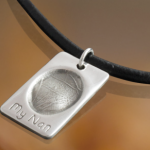 The charms and pendants are made in solid 999 fine silver and all the findings ie. 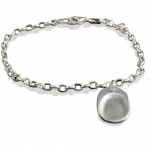 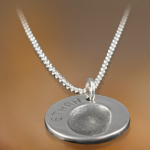 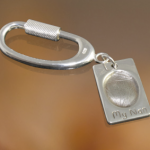 necklaces, bracelets and key rings are solid sterling silver and hallmarked 925. 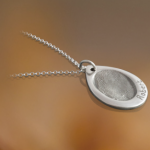 All the pendants are available with or without a Sterling Silver snake chain or belcher chain. 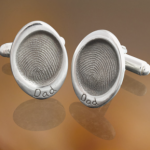 Dean Harper Funeral Directors & Stonemasons Limited, 21 Lichfield St, Walsall, WS1 1TJ.